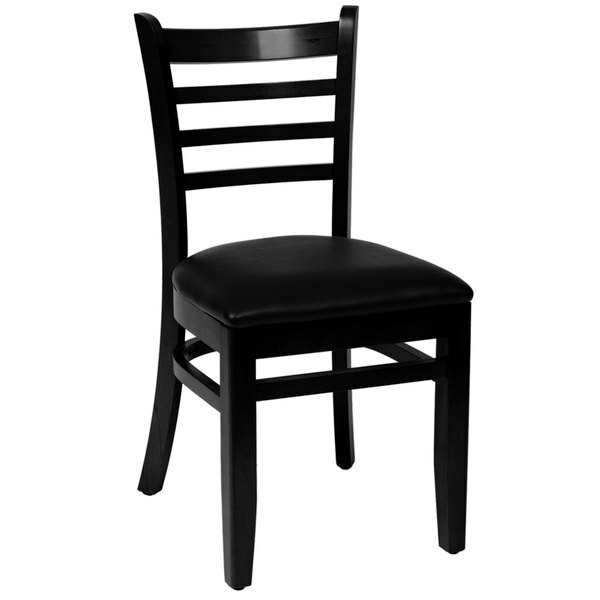 Complete the dining area in your restaurant, coffee shop, or cafe with this BFM Seating LWC101BLBLV Burlington black colored beechwood side chair with 2" black vinyl seat! Not only does it boast a padded seat for unmatched comfort, it also has a curved, ladder backrest for optimal spinal support. Plus, the back and frame have an attractive, natural grain and timeless, black finish that complement the black vinyl perfectly. 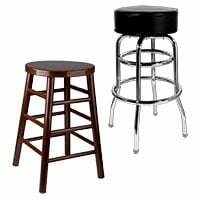 Made of durable beechwood, this side chair is more resistant to scratches and chipping than traditional wood products. 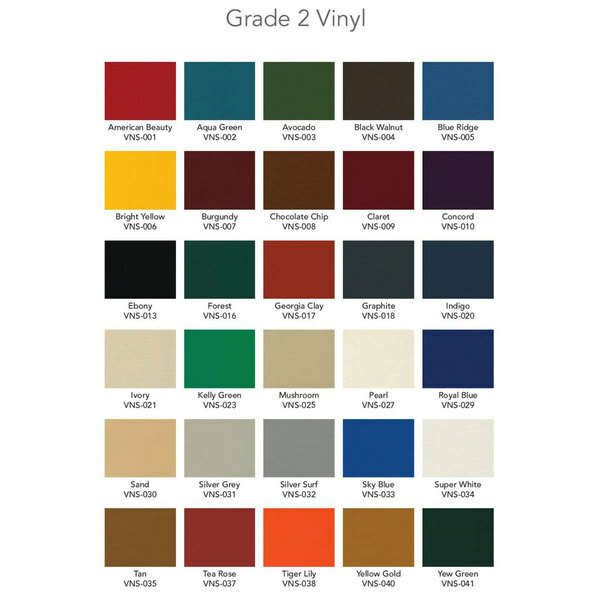 Its legs are also capped with plastic glides that protect floors from scuff marks and slide smoothly, helping to keep loud, unwanted noise to a minimum. Add this sturdy, stylish Burlington chair to your indoor tables and ensure guests comfortably enjoy your signature drinks, appetizers, entrees, and desserts! Heavier than we had expected. These are good, quality chairs at an affordable price. Both sturdy and comfortable. The classic black fits with our decor perfectly.